You think you have the answer? During a time of great battles every kingdom had recruited every man, women and child into their ranks. Battles ranging from tens of thousand to hundreds of thousands. The greatest warriors were the ones who killed the most and survived the battle. There happened to be one man who was recruited into the kingdom of Val. His name was William. He was one of the greatest warriors during the troubling times. His heroic actions and leadership led his forces through many battles. William was a general of battle for Val. Starting as a basic spear men on the front lines he single handily wipe out entire squads. His very presence would boost the morale of friendly troops and demoralize enemies. He was a key player in every battle. 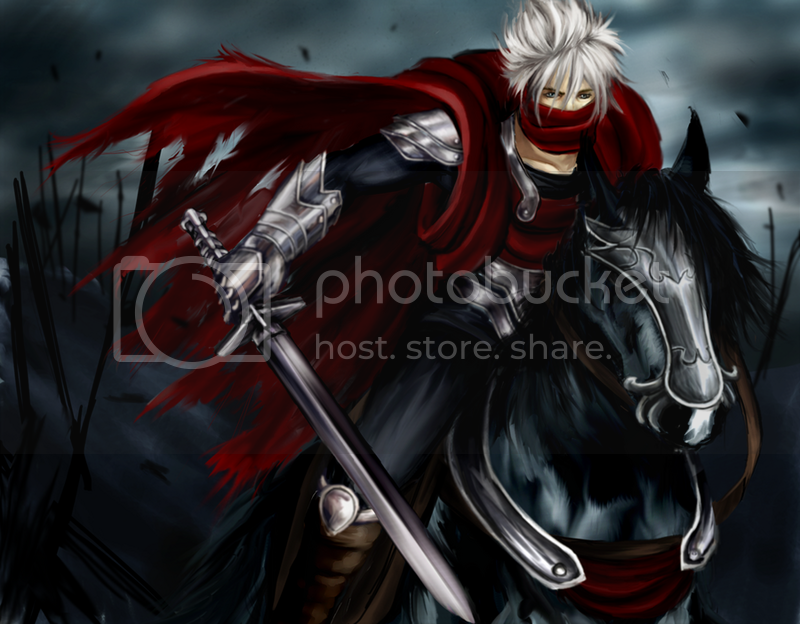 He soon held a Master of Army rank, which allowed him to maneuver and wipe out all remaining factions. Forcing them to either join or be destroyed by the soon overwhelming odds of the Val. But things quickly changed for William. Talk and rumors had begun to spread that William was aiming for the throne of Val, the current king had heard the words and felt it was necessary to remove him. Soon William was arrested for treason and was stripped of all authority and sentenced to death. But with the help of several members William escaped. His name dragged through the mud, and stepped on. William was no more, hiding in the country. In often drunken state he had fallen hard and fast, never to show himself again. Till one day at a bar he finds a women who begins to talk sense into him, and convinces him to fight again. And so the two of them begin to plot against the Val kingdom who was now the only territory left standing. William who had built the great power of Val would soon destroy it piece by piece till it would crumble. This is just a kind of summary and background on who two character would meet and decide to fight the strongest enemy. Open to suggestions on how to make it better. Would be a lot of story and some romance later in the rp. If your interested please PM or make a post here.